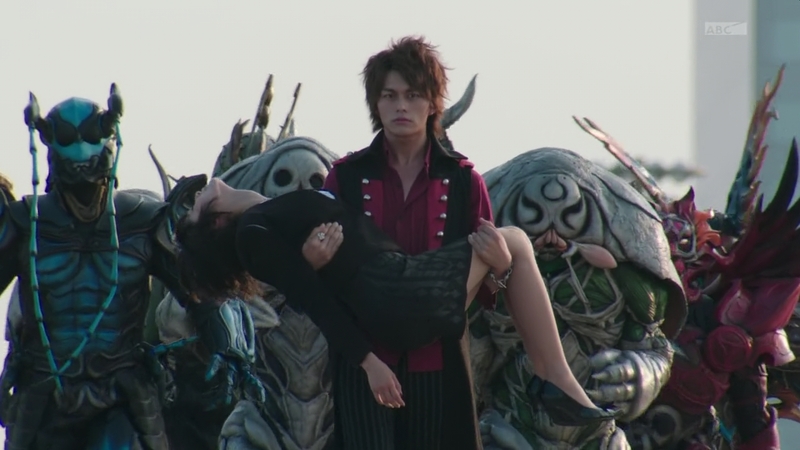 Kota gets to the waterfront, but he’s too late. 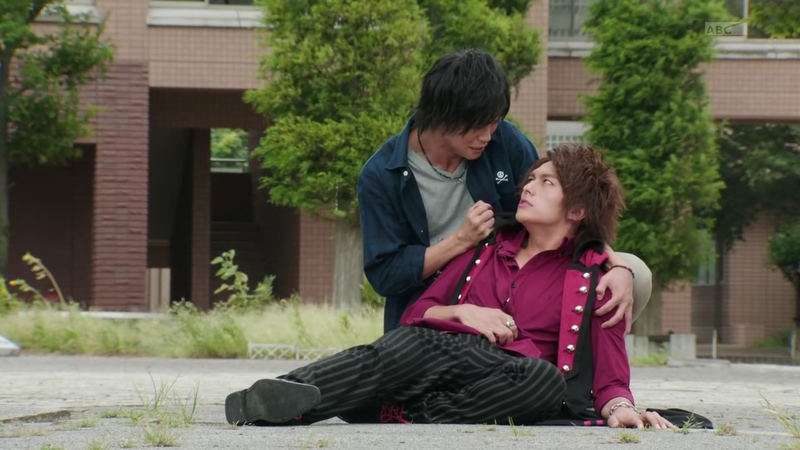 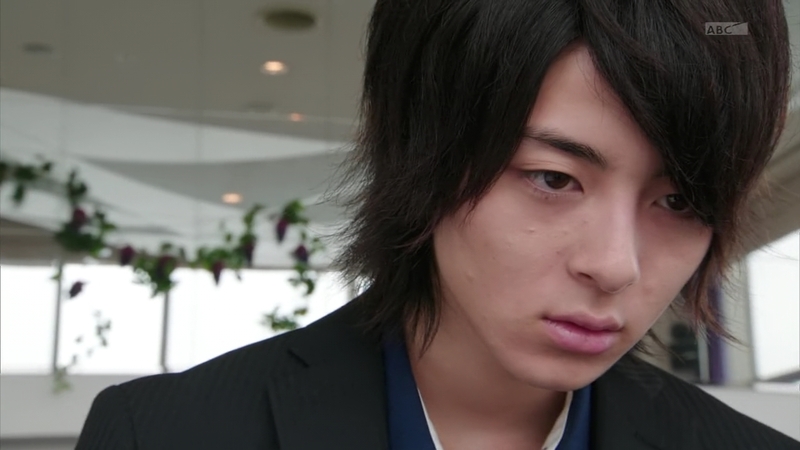 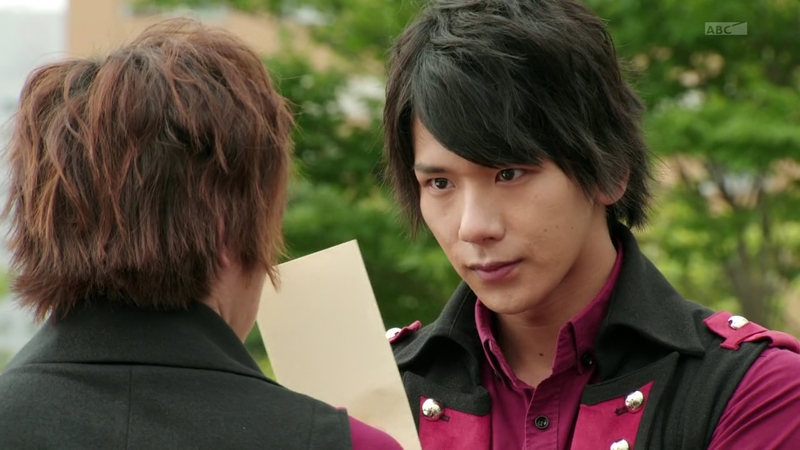 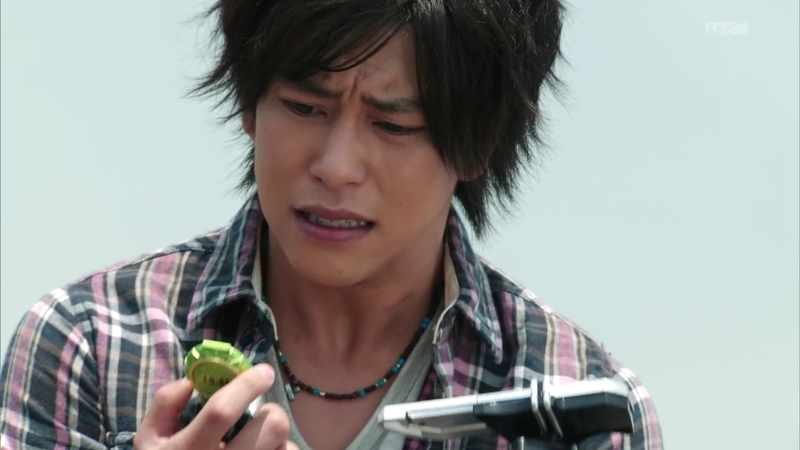 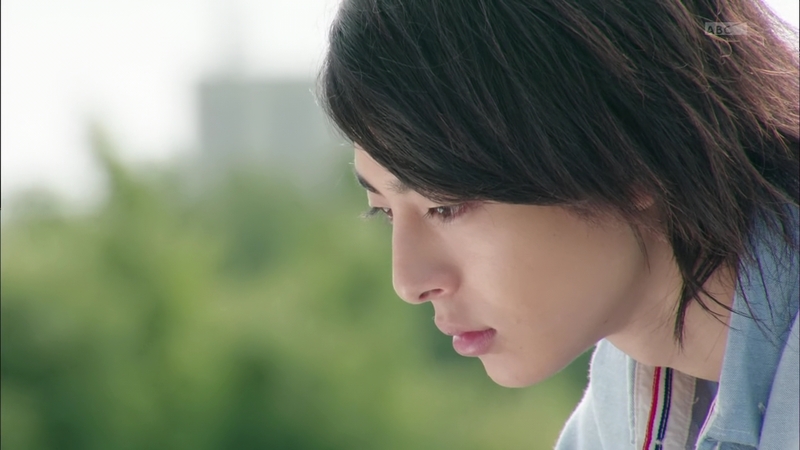 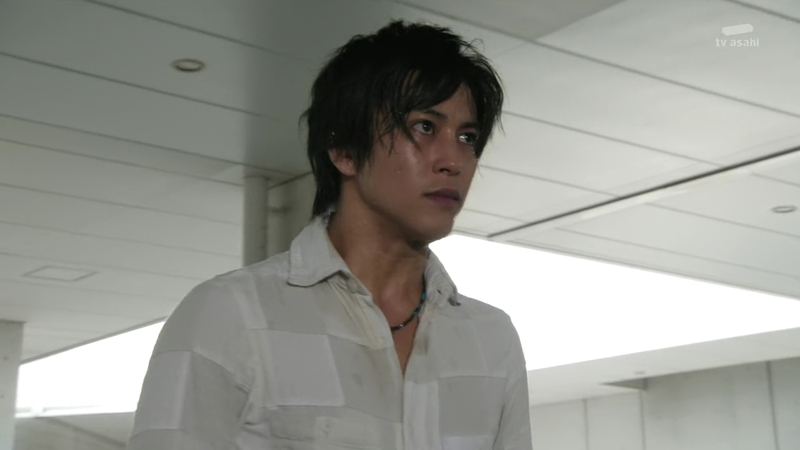 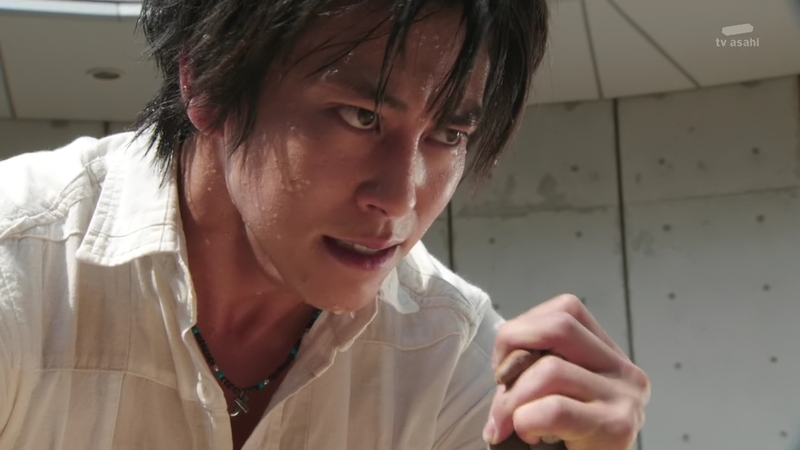 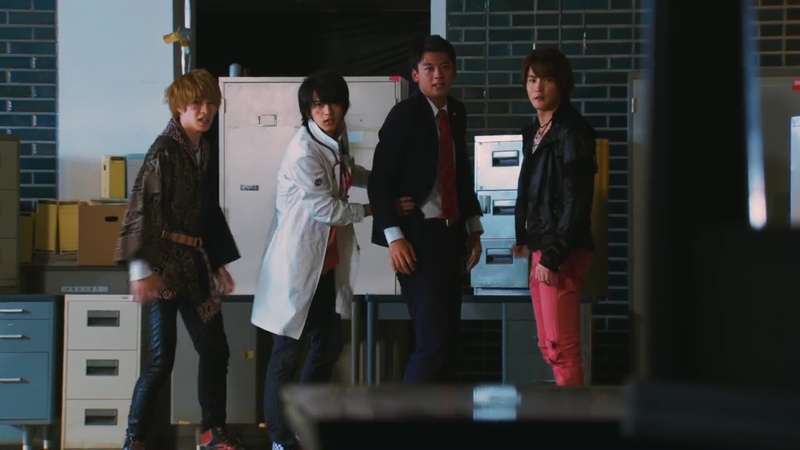 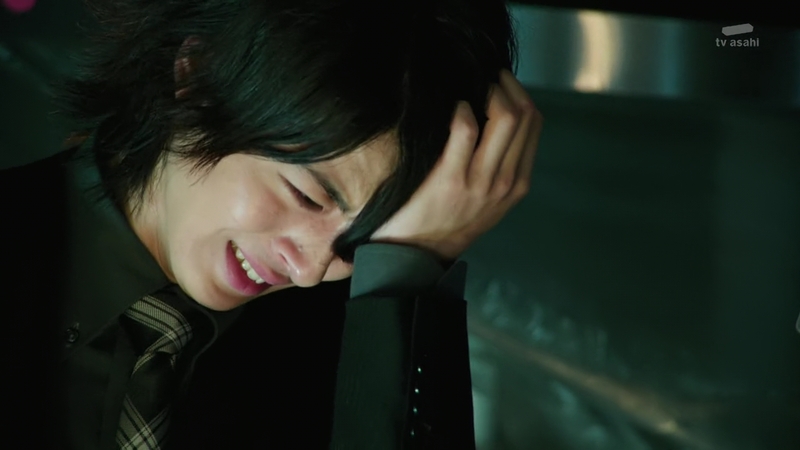 He finds Takatora’s trashed Driver and Lock Seed. 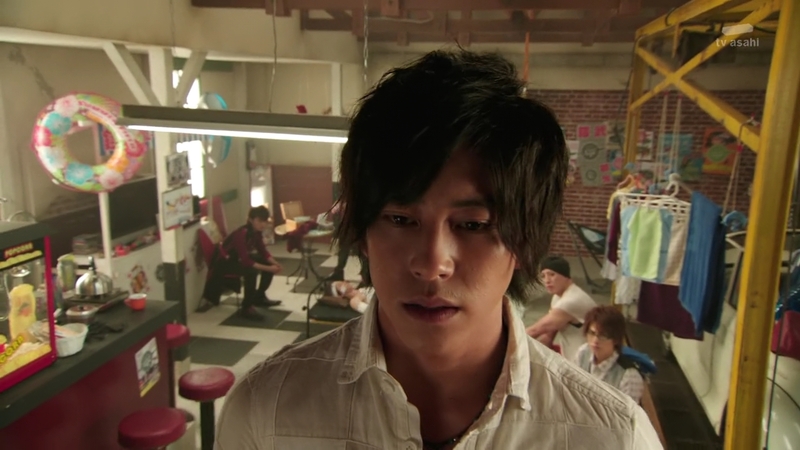 Meanwhile, a shorts-wearing Ryoma watches him nearby.